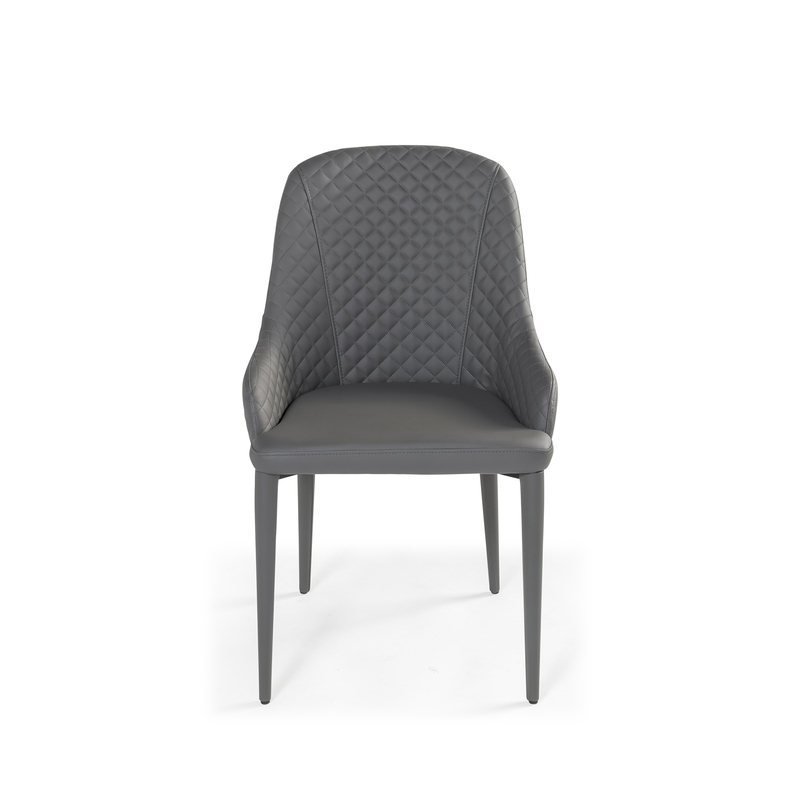 Our upholstered chairs are sophisticated and very elegant. 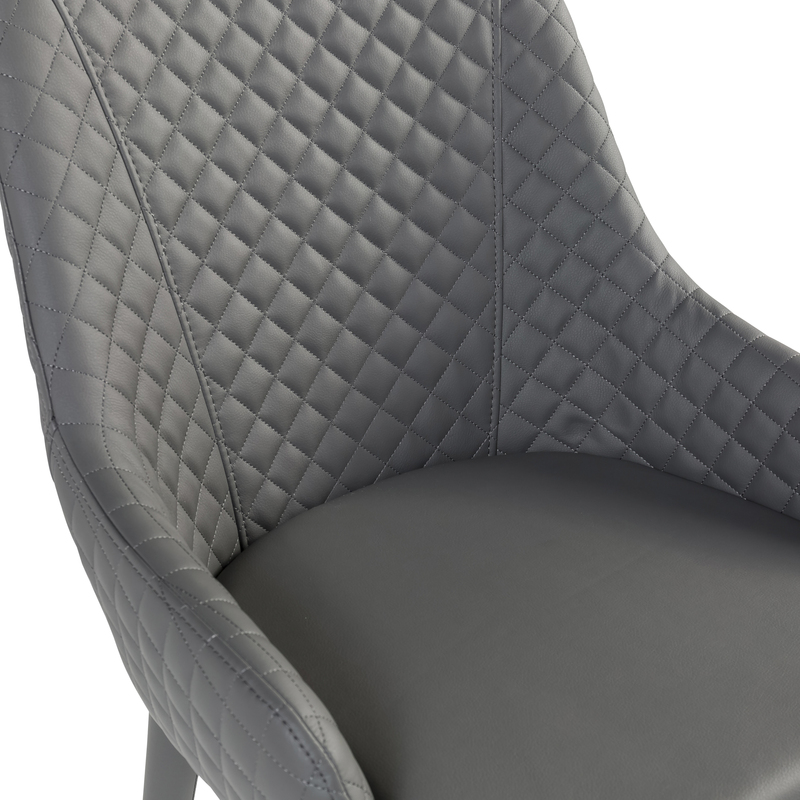 If you are looking for an elegant and beautifully wrapped faux leather diamond quilted seat, you can't go wrong with our gorgeous Cheshire Dining Chair. 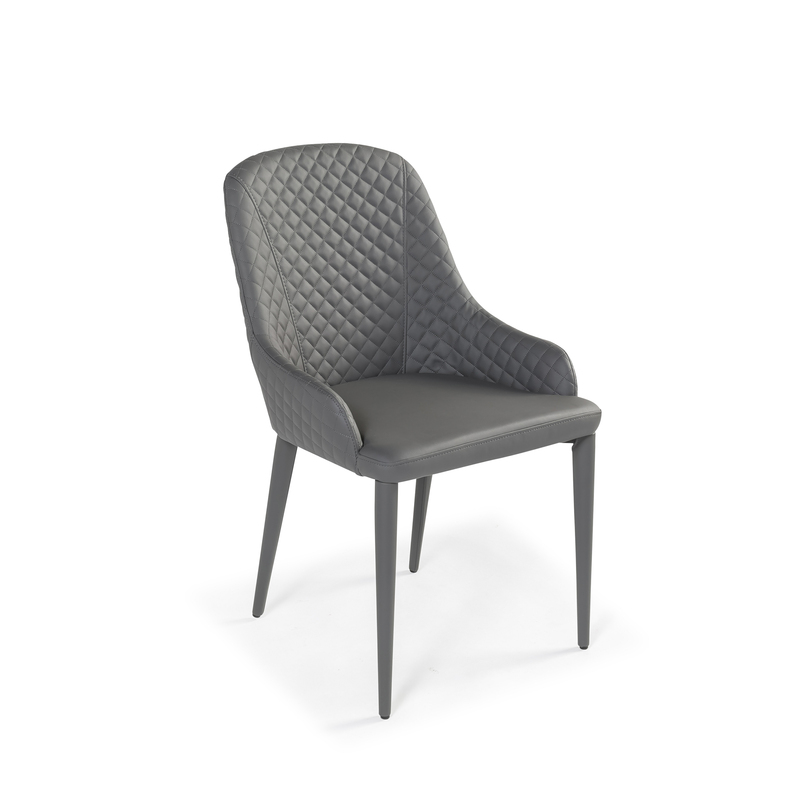 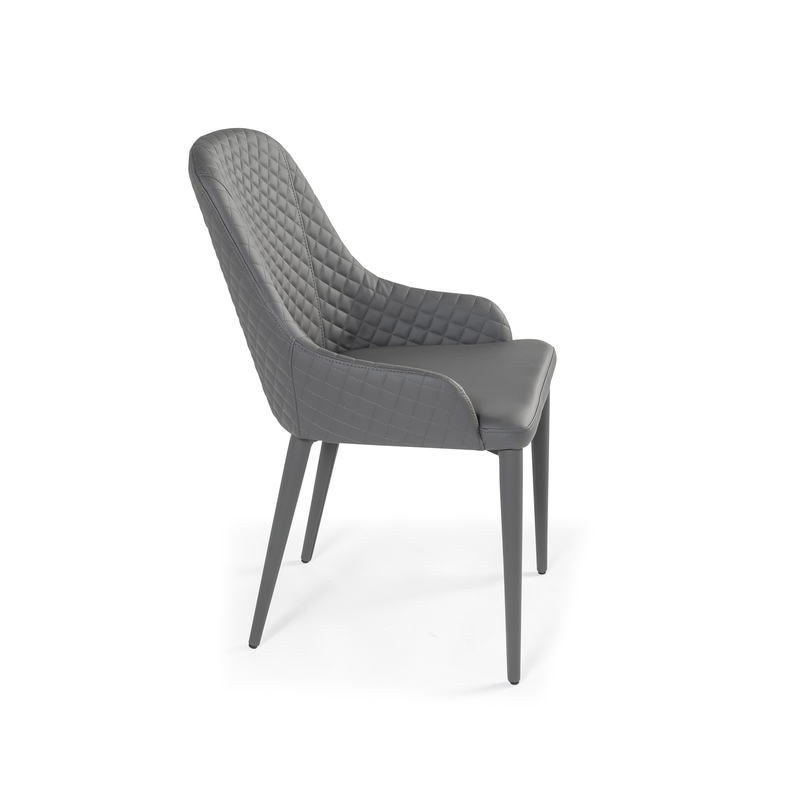 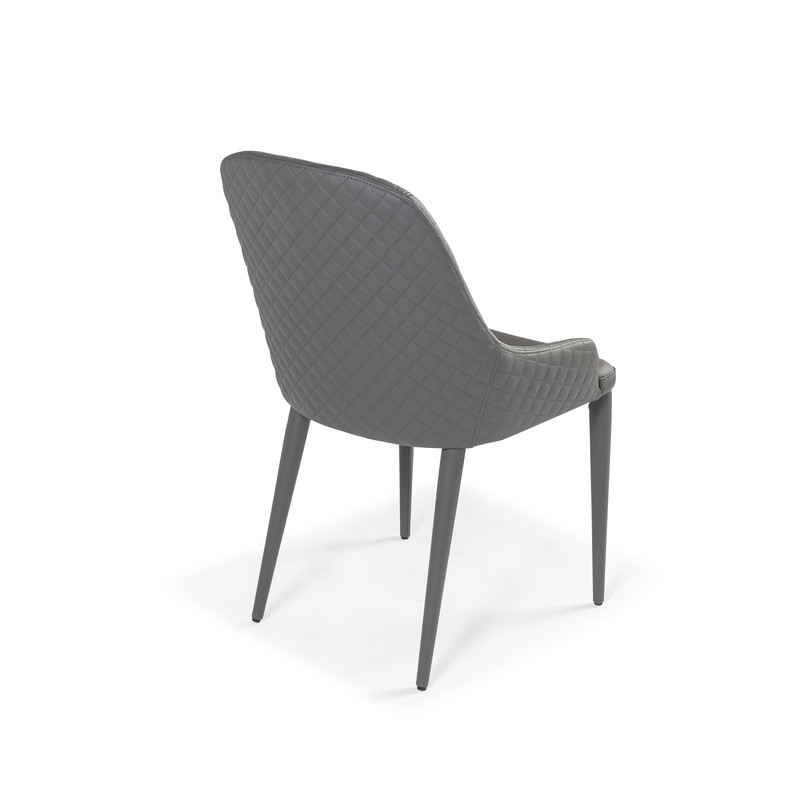 With its curvaceous shape and being fully upholstered even the legs, this chair has real designer looks alongside a feeling of luxury, just without the expensive price tag. 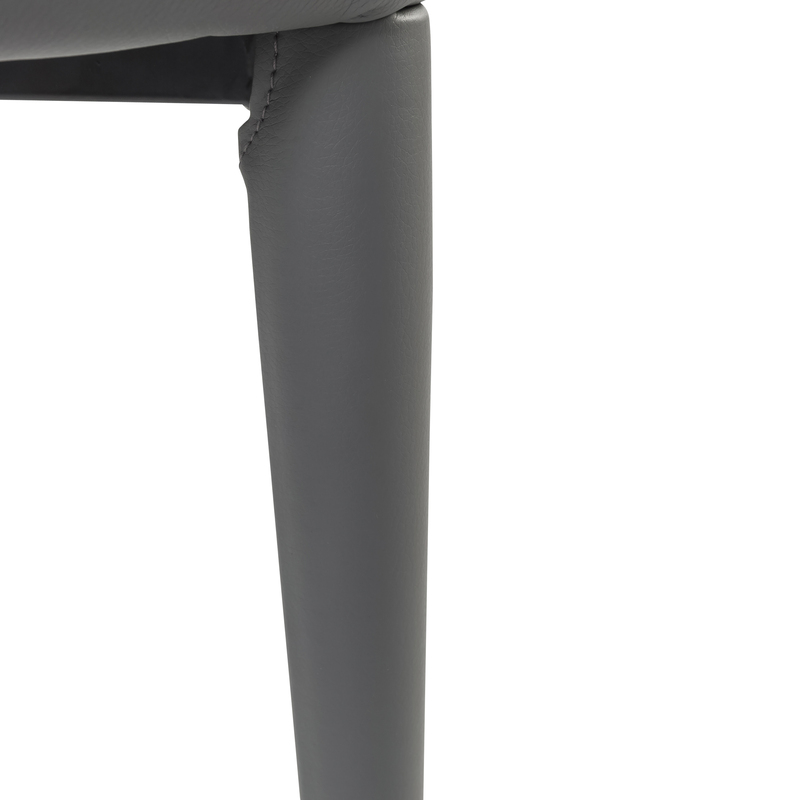 The upholstery colour is finished in a dark grey.